Grand Designs Live will be back at Birmingham’s NEC from 10 -14 October as part of UK Construction Week, providing everything self-builders need for their project, all under one roof. Grand Designs Live, sponsored by Anglian Home Improvements, will return to the NEC from 10 – 14 October. This inspiring event promises to “break through the conventional limitations in homebuilding” to offer visitors the chance to discover the very latest innovations in home design and decor, explore current trends, preview new products and find brands not yet seen on the high street. 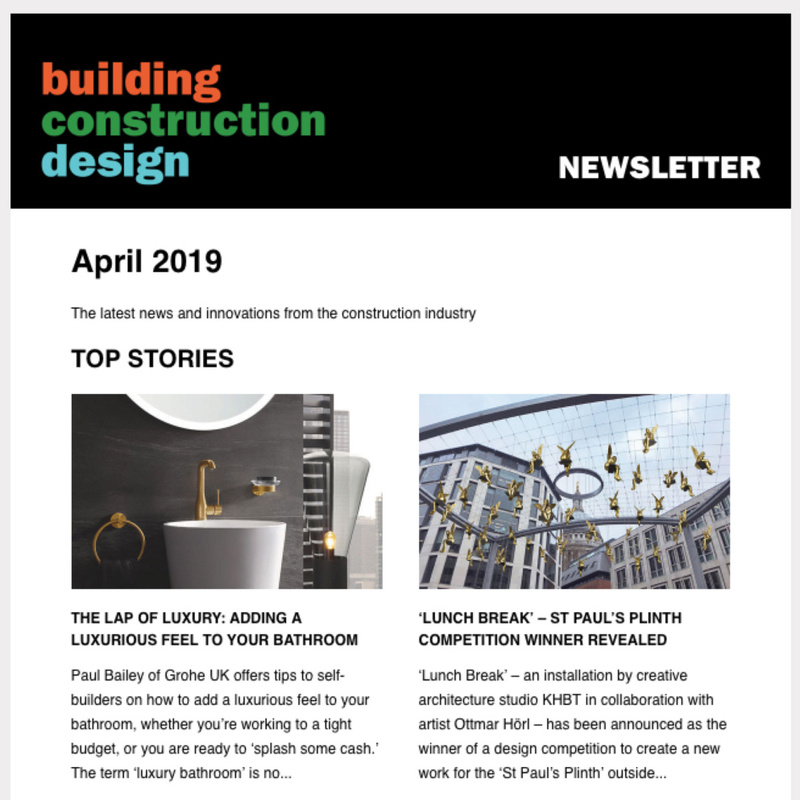 Based around the concept of the Channel 4 TV series, and presented by design maestro Kevin McCloud, the event will be packed with over 400 exhibitors, spanning five different sectors: Build, Kitchens, Bathrooms, Gardens and Interiors. The Grand Build Hall will showcase “products to advance any and every project,” say the organisers, from renovating a period property or adding an extension to an existing home. 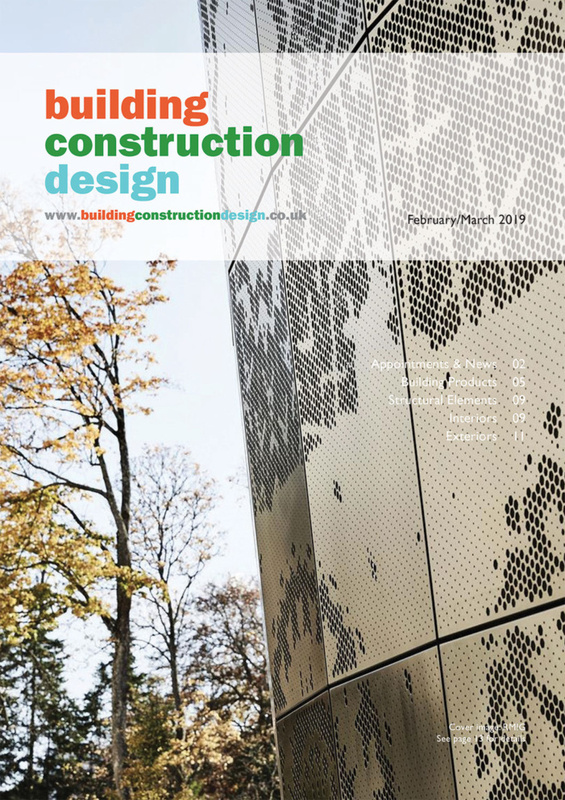 Self- builders will find ground-breaking ideas for builds ranging from construction to finishing touches, as well as the latest developments in sustainable and eco-technology along with inspiring designs from an array of architects; coming together to help them create a home that is truly exceptional. A selection of build suppliers including Polypipe, Velfac/Velux, Internorm, Airflow, Maxlight, IDSystems, Silva Timber and Pirnar will offer an array of top quality essential materials and services necessary for homebuilders. Discover oak-framed houses from design and construction company Oakwrights, while new exhibitor Inotherm will be showing high-end security doors alongside their range of entrance doors. Pirnar’s award-winning entry doors – which include hidden fingerprint readers and automatic night illumination – will also be on show for the first time as the brand launches in the UK. Grand Interiors and The Design Arcade will offer stylish ways to finish a home; here, visitors can discover unique products from individual designers and browse hundreds of brands not readily available on the high street, including Sir William Bentley Billiards, JamJar Lights and SAM Leisure. Another highlight, Restoration Tree produces furniture using responsibly sourced timber from around the world. Those with an interest in the Grand Technology area can explore the innovation of the smart thermostat from Hive, or peruse offers on phone, TV and connectivity packages from Virgin Media. Grand Bathrooms will include exhibitors such as Avanti, who produce fitted bathrooms to transform your current bathroom into a sanctuary, plus other brands including Junction 2 Interiors and Bluewater Bathrooms. Easy Bathrooms will also showcase their range. Grand Kitchens will offer some of the most pioneering kitchens and appliances on the market from the likes of Northgate Kitchens, Kutchenhaus and Hyco. Bora will be presenting their premium cooktop extractors, while stone worktops from Planet Granite and digitally printed full colour splash backs from Cherry Glass Design are not to be missed. From bespoke fitted to free standing, and from strategic design to storage, visitors will find solutions to all their culinary needs; along with the cutting-edge finishing touches that are essential to any kitchen. Those with a particular interest in the Grand Gardens section can discover brands spanning a variety of areas of interest including outdoor cooking, swimming pools, garden buildings, hot tubs, landscaping and much more. Sponsored by Hydropool, visitors will be able to explore an abundance of new and exciting ideas. Hand-crafted garden rooms from Cre8a will inspire garden lovers while independent pool designer Swimming Pool Design Company will offer luxury pools, and Breeze House will showcase their garden gazebos and thatched garden buildings. Ask An Expert – This ever popular service returns with experts offering free advice in every field – from financing projects to architecture, interiors and much more. 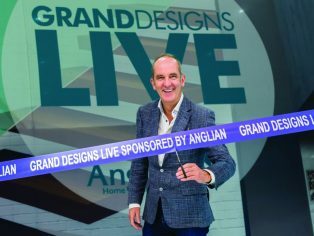 The Grand Theatre (sponsored by Airflow) – Kevin McCloud, joined by a whole host of industry experts and some Grand Designers from the new series, will provide a wide-reaching range of informative seminars on everything from architecture to building and beyond. Kevin’s Green Heroes Live – Each year Kevin showcases the most innovative and useful eco-friendly gadgets and products on the market. His hand- picked selection reveals the latest trends in green technology and shines a light on new directions in product design. This show, visitors can get first-hand experience through live demonstrations of these Green Heroes. Grand Room Sets – The theme ‘Design By You’ will be brought to life by five pioneering interior designers in this inspirational installation. These innovative rooms will showcase products which are accessible to visitors and are from British retailers, manufacturers and designers. Live, Surface & Materials Show, HVAC 2018, Civils Expo, and Plant & Machinery Live. Timber Expo, supported by TRADA, will be of particular interest to self-builders, with the timber self-build market thriving as more homemakers opt to utilise the sustainable material. Highlights of the other UK Construction Week shows include the Innovation Trail, which will highlight the most cutting-edge products shaping the future of construction, the Timber Focus Theatre, Structural Timber Awards, UKCW Stage, Regeneration Hub, Confederation of Timber Industries workshops, and of course the Beer Festival. Tickets provide unlimited access to all shows.